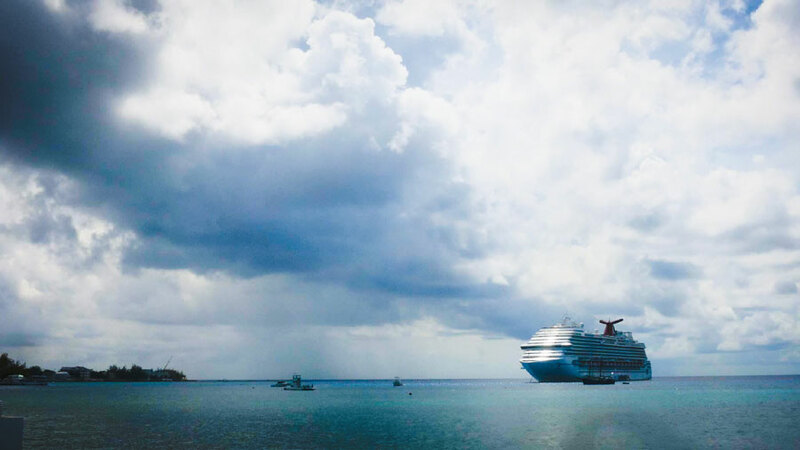 Tropical Storm Michael has formed in the western Caribbean and is a cause for concern for thousands of cruise passengers. As the storm develops there could be an impact to cruise itineraries and major destinations. A tropical depression recently emerged in the Western Caribbean and on Sunday it developed into a Tropical Storm. The storm is located in a busy cruise region and is just located 145 km south of the popular cruise destination of Cozumel, Mexico. There is already a storm watch for Tulum on the Mexican mainland, popular for the Tulum Mayan Ruins excursion. At the moment no cruise lines have issued any changes to itineraries but this could change as the storm moves north. The center of the storm is expected to pass the east of Cozumel in the coming hours. Carnival Cruise Line has two ships scheduled to call in Cozumel on Monday. Carnival Valor and Carnival Freedom which are both Galveston based ships could be impacted by the storm. The cruise line’s Fleet Operations Center in Miami is no doubt tracking developments and guests onboard will be updated by the captain. Hopefully, both ships will be able to keep away from any storm impact and bad weather conditions. There are many cruise ships sailing in the western Caribbean and other cruise lines could also be forced to make changes. Tropical Storm Michael currently has maximum sustained winds of 40 mph and will reach the south of the Gulf of Mexico on Monday. This is bad news as the warm waters will help it gain strength and the National Hurricane Center (NOAA) is expecting it to become a category 1 Hurricane on Wednesday morning. 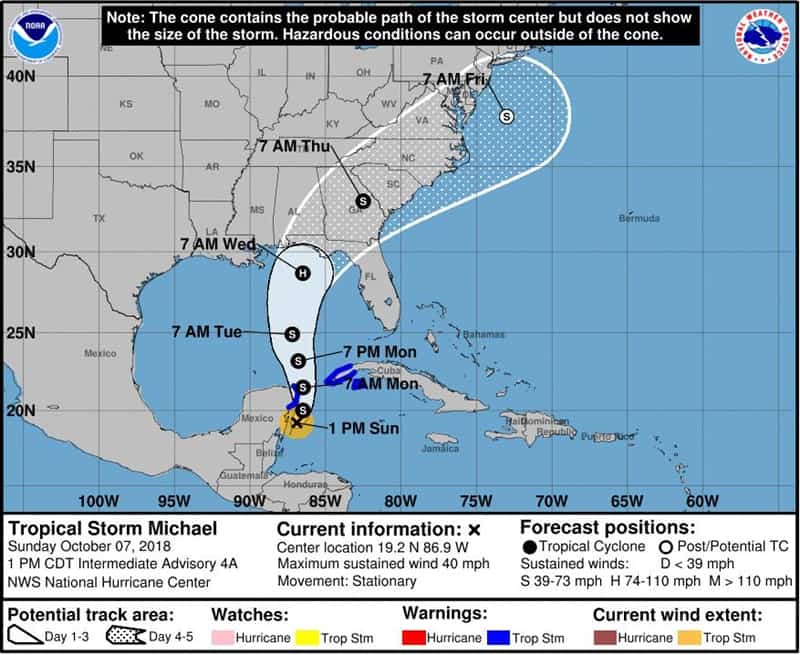 Tropical Storm Michael will reach the U.S. Gulf Coast as a Hurricane on Monday evening. At the moment the track shows that it will hit the Florida north Gulf coast. The nearest cruise port is Port of Mobile, Alabama and Carnival Fantasy is departing there on Monday so this might be a departure to check with the cruise line. Cruise Hive will continue to keep readers updated on any new developments impacting the cruise industry. If you are booked on a cruise which has an itinerary in the Western Caribbean do check for official updates.